Mia Carr snapped on her way to work. 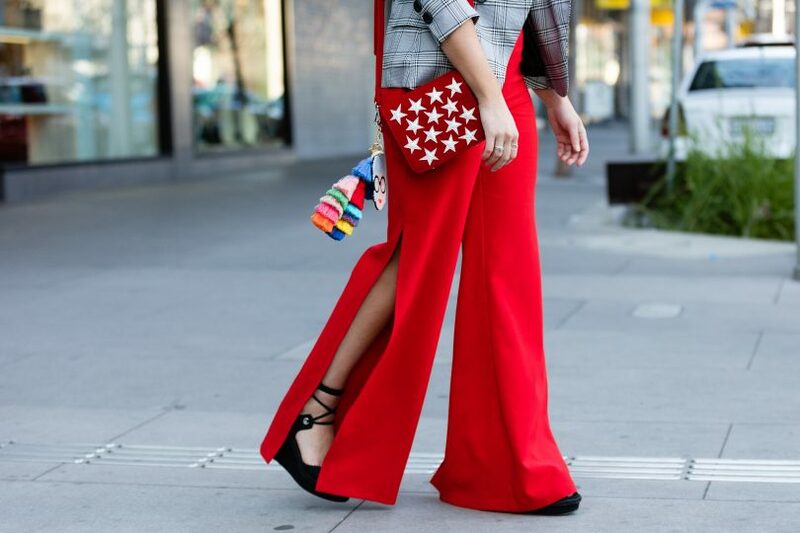 Style Scene is a fortnightly series that showcases the best of Canberra’s street fashion. Produced by Daniella Jukic, Style Scene is out to prove that the nation’s capital is just as fashion-conscious as its big-city counterparts. 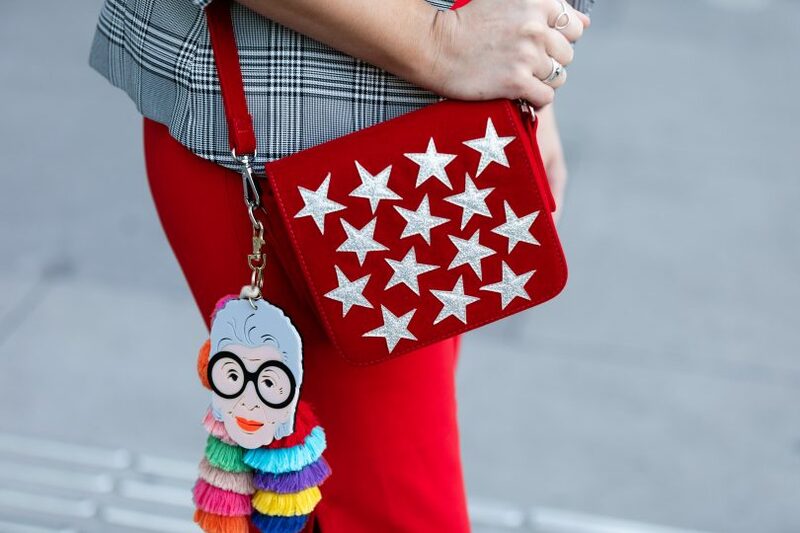 Street style photography is a great way to show that fashion has a place in our everyday life. Fashion from the catwalk is translated to the streets as wearable trends. What we wear is an expression of our individual style. My aim is to focus my lens on the streets of Canberra to show that fashion is very much alive in the nation’s capital. 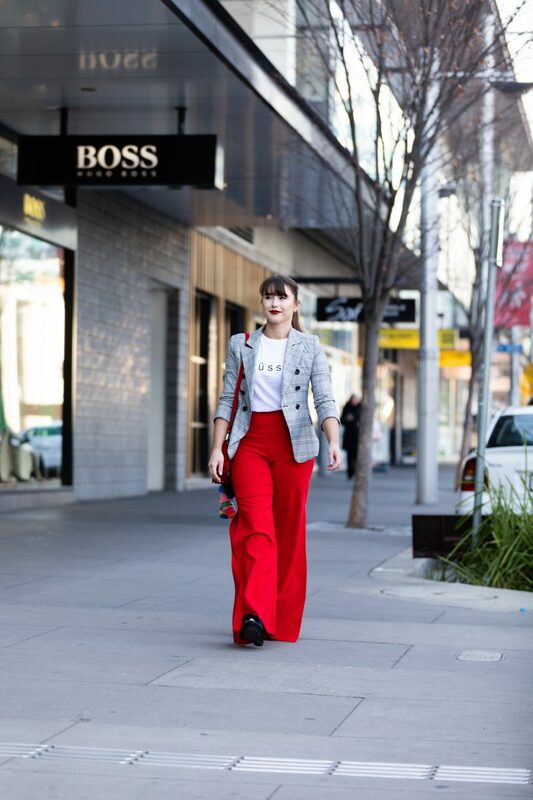 As the resident style stalker of Canberra, I caught up with local botique owner, Mia Carr to snap her style. 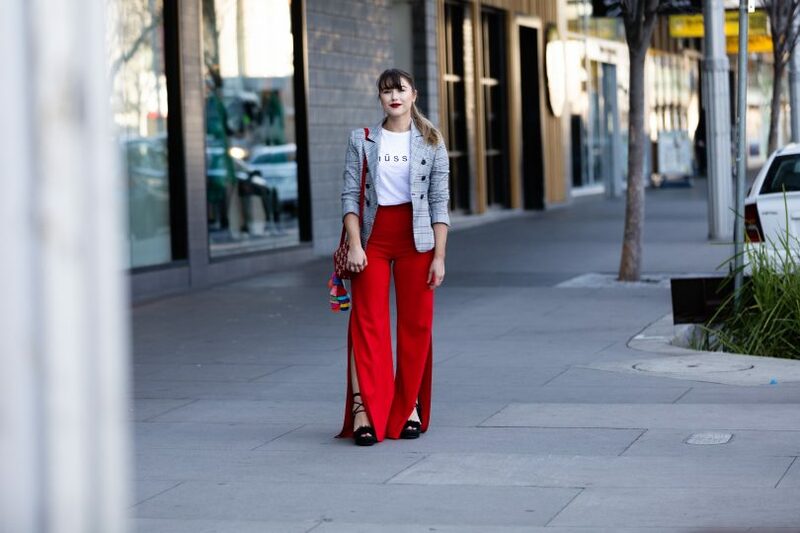 Mia provides a welcome pop of colour in the city’s grey backdrop, paired back with a matching lippy. Describe your style in three words? Drama, buffet and texture! Where is your favourite place to shop? 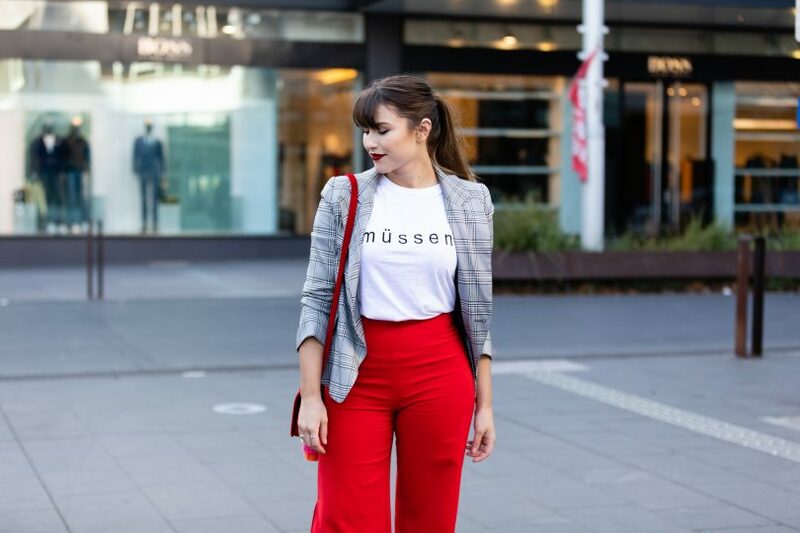 Mussen Boutique of course! What item can’t you live without? That would definitely have to be eyeliner! Do you prefer winter or summer fashion? Winter, because I get to play more with my clothes by layering up and matching outfits with beautiful jackets and coats!